It’s been a while since I’ve posted to this blog, but life seems to get in the way…which is not always a bad thing. 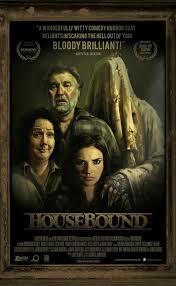 I decided, however, that I just had to post something about this fun, scary movie Housebound. I watched this on Halloween as a treat to myself and I was NOT disappointed. This treat from New Zealand provides some thrills along with some giggles. I think the greatest thing about this film is that it doesn’t try to be funny, yet it is. It doesn’t try to be scary, yet there are moments. 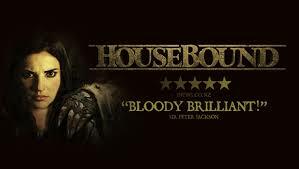 It just IS what it IS and that’s plenty entertaining enough in this day and age of horror movies relying solely on shock or gore for thrills’ sake. It’s nice to see a movie that actually has characters you come to care about going through something that’s highly implausible, yet kind of fun to watch. Really can’t give too much of the story away without ruining some of the twists and turns it takes, but the main plot is a troubled girl named Kylie breaks the law and ends up getting put in house detention in her mother’s home for eight months. Kylie is less than sympathetic in the beginning and doesn’t really become that much more endearing as the film progresses, but she does become more interesting as she faces her predicament…which is being confined to a house that may or may not be haunted. Kylie’s mother Miriam is convinced there’s a ghost in the house, but has come to accept it, whereas Kylie is convinced her mom is going nuts and hates that she is forced to stay. 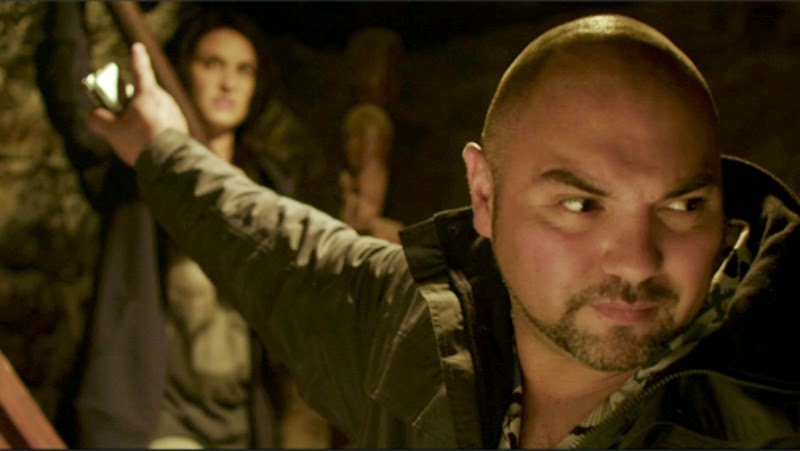 After Kylie starts experiencing some unexplained events, they enlist the help of a cop who has been charged with Kylie’s detention only to find out that he’s an amateur paranormal investigator. Can’t say more other than it’s a fun ride to watch how Kylie goes from rude, entitled brat to actually questioning her own sanity to solving a 20 year old crime based on finding a dental plate! And oh, yeah, there’s an exploding head and lots of red herrings just to add to the fun. I’m going to file this under Literary Conflicts of Man vs. Man. Kylie is her own worst enemy, yet something definitely happened in the house that explains the whispers and the creaks and the things that go bump in the night. All gets explained, but the ghost has the final say! The culmination of all the hysteria is masterfully paced in the last ten minutes of the film where literally all is revealed in what can only be described as a psychotic romp of a chase scene through the “haunted” house. Do yourself a favor and watch this one with friends who like a movie that starts out slow, but builds scene by scene until the ending when all bets are off and it’s anybody’s guess as to what may happen next. Well done New Zealand!